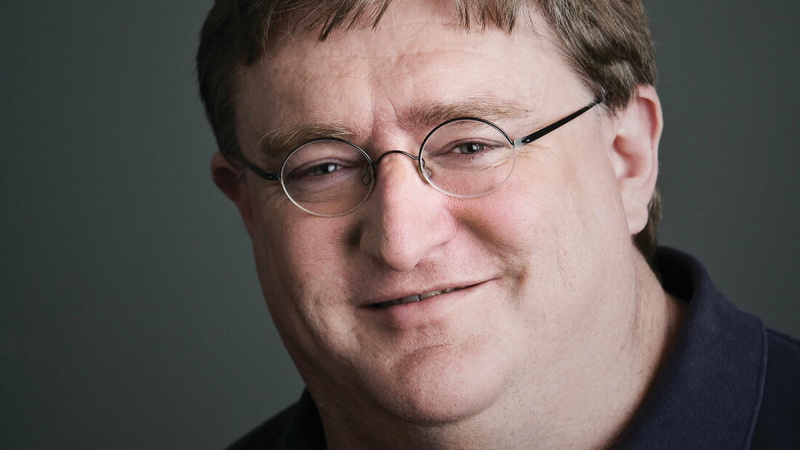 Valve boss Gabe Newell took part in a brief Reddit “ask me anything” event yesterday, revealing what the company is currently working on. It seems that new video games from Valve are in development, the Half/Life Portal movies are on their way, and the company has big plans for its Source 2 engine. Newell confirmed that Valve is creating “fully-fledged single player games.” He also mentioned it is developing virtual reality titles and continues to work on the VR knuckles controller. On the same topic of games, he said there was a chance that a new title set in the shared Half-Life/Portal universe would one day become a reality. There was also a question about the Valve/JJ Abrams movies based on the games (“Yep. They’re coming), and the inevitable probing about Half-Life 3. “The number 3 must not be said. Yes. I personally believe all unidentified anonymous sources on the Internet,” Newell joked, when asked about the rumor that Half-Life 3 has been canceled. So maybe we will one day see the long-awaited sequel after all. Aside from moving Dota 2 to the engine recently, we are are using it [Source 2] as the foundation of some unannounced products. We would like to have everyone working on games here at Valve to eventually be using the same engine. We also intend to continue to make the Source 2 engine work available to the broad developer community as we go, and to make it available free of charge. In typical fashion, Newell didn’t give much away – but then he never ruled anything out, either. You can read the full AMA right here.